"Unfortunately we must inform you that some of the pictures have been dropped because of a review," the auction house said in a statement. 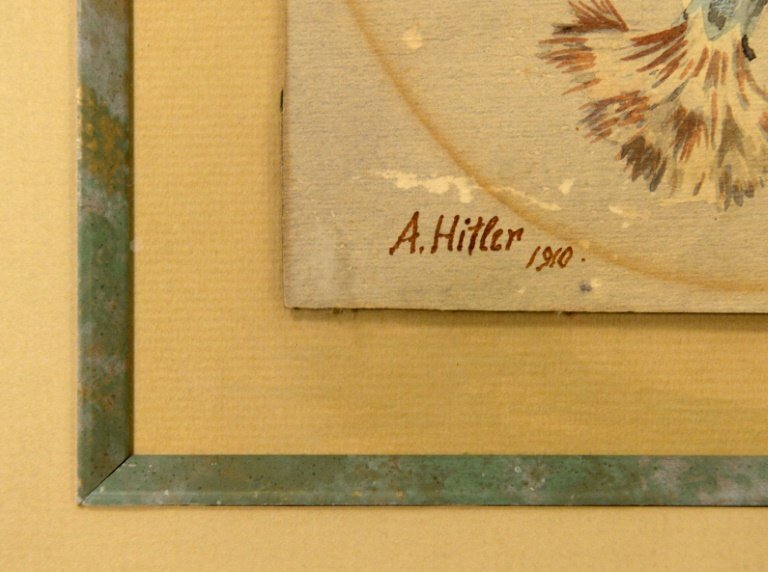 The move came after prosecutors on Wednesday collected 63 artworks from the Weidler premises bearing the signature "A.H." or "A. Hitler", over suspicions the works were not created by Hitler himself. 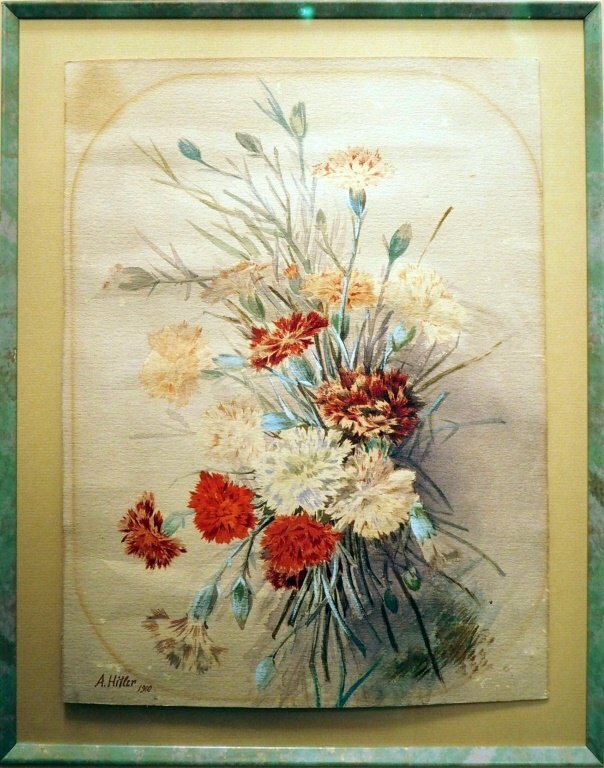 Twenty-six of them -- a selection of watercolours, oil paintings and sketches -- had been advertised for Saturday's auction. They included mainly depictions of buildings and nature scenes but also several female nudes. Sales of alleged artworks by Hitler, who for a time tried to make a living as an artist in his native Austria, have long been controversial -- and have often proved to involve fakes over the years. Just last month German police seized three watercolours presented as Hitler's works before they were due for auction in Berlin, claiming they were forged. The Alpine and Rhenish landscapes were dated 1910 and 1911. They were signed A. Hitler and offered by auction house Kloss. The Nuremberg-Fuerth prosecutor's office said it had opened an investigation against unknown persons "on suspicion of falsifying documents and attempted fraud" in connection with the pieces found at Weidler auctioneers. Investigators will now examine the works to determine if they are fakes or originals, chief prosecutor Antje Gabriels-Gorsolke told AFP. The auction house had cooperated fully and handed over the works voluntarily, she added. The five paintings remaining for Saturday's auction in Nuremberg are watercolours of landscapes, with one depicting a mountain lake view carrying the highest starting price at 45,000 euros ($51,000). The wicker armchair and the white-and-blue porcelain Meissen vase that will likewise be auctioned off have themselves come under scrutiny for bearing swastikas. In Germany, public displays of Nazi symbols are illegal although exceptions can be made, in educational or historic contexts for instance. In this case, Gabriels-Gorsolke said the auction house had not fallen foul of the law because the swastikas on both items were pixellated in the catalogue and covered up on-site. 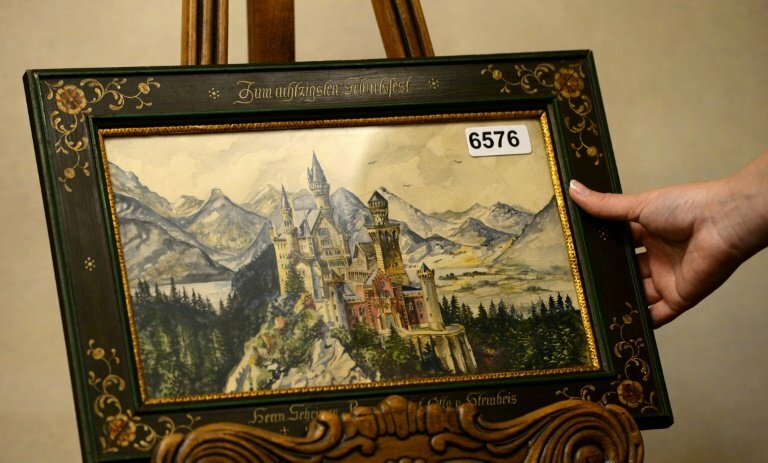 Nuremberg's mayor Ulrich Maly told the Sueddeutsche Zeitung newspaper the upcoming auction was "in bad taste". Experts consider his work to be of mediocre quality. Hitler had the style of "a slightly ambitious amateur" but his creations did not stand out, said art expert Stephan Klingen of Munich's Central Institute for Art History. He committed suicide in a Berlin bunker on April 30, 1945, ending the Nazi's reign of terror. 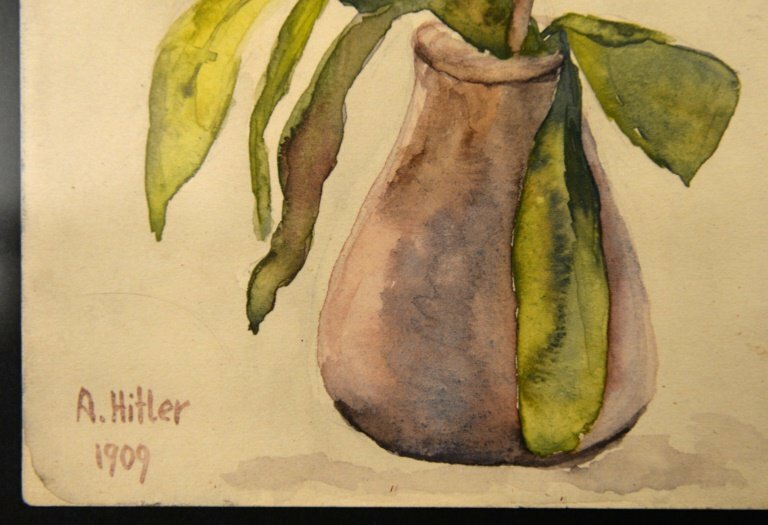 A 2015 sale of Hitler watercolours by the Weidler auction house fetched nearly 400,000 euros.